Back in the ‘50s, the writers at DC Comics had a habit of creating stories that didn’t count, dubbed “Imaginary Stories.” Even within the already fictitious world where there characters resided, these were stories that weren’t real. You could do radical things, like kill Superman, or give him and Batman fully grown sons. Eventually, this sort of evolved into full blown alternate universes which, when combined with worlds populated by the Justice Society, the Crime Syndicate, or the Freedom Fighters, formed the DC Multiverse. The Crisis on Infinite Earths came along and undid all of that. There was only one universe again. Of course, that proved restrictive, and slowly those alternate universes started peaking their heads out again. When the 1989 Gotham By Gaslight proved a notable success, DC founded their Elseworlds imprint, thus allowing a place for these “Imaginary Stories” again, albeit in a format that more resembled Marvel’s What If…? The imprint was retired in the early ‘00s, but not before spawning a smattering of figures. Today, I’ll be looking at one of those figures, namely Red Son Batman. Superman: Red Son, for those unfamiliar, presents the tale of Superman with a slight twist: instead of landing in Kansas, baby Kal-L instead lands on a farm in the USSR. Where does Batman come into that? Well, contrary to the bio up top, he’s actually an anti-Superman terrorist, looking to bring down the Russian government. Fun times. Red Son Batman was released in the second series of DC Direct’s Elseworlds line. Interestingly, the Elsewords line was originally shown as a fully dedicated Red Son line, which would have had Batman in its first series. 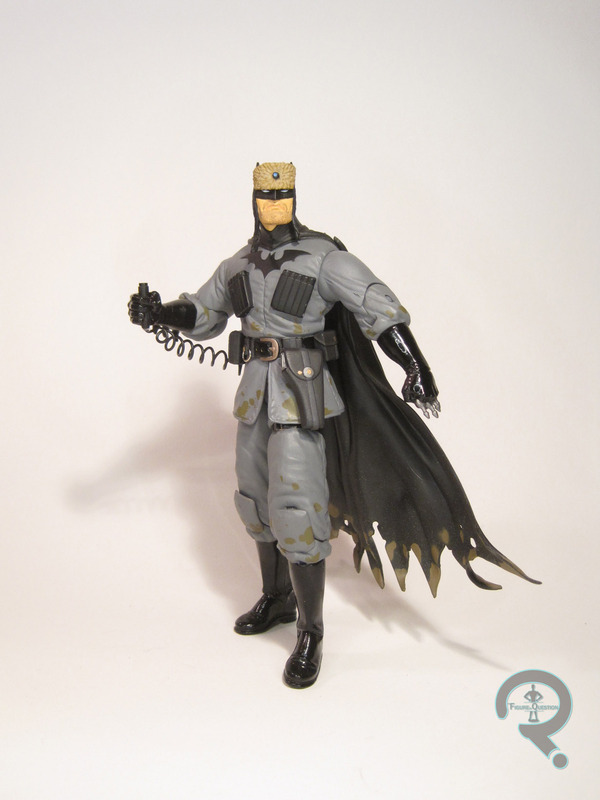 When the line was re-fitted, this version of Bats got pushed back to Series 2, where he was one of two Batmen (the other was based on Gotham By Gaslight, fittingly enough). The figure stands 6 1/2 inches tall and has 13 points of articulation. Batman had a totally unique sculpt, based on his rather unique design from the comic. All of the characters in Red Son got more utilitarian and practical designs than their main universe counterparts (well, apart from Superman himself), and Batman was no exception, though, admittedly, his design didn’t stray too far from his usual look. The basic elements remain, but are augmented by things that make this design far more “real world” than “superhero.” There’s no denying that the Red Son take on Batman is certainly a distinctive one, though, and I certainly can appreciate some of the small details that sell him as being a totally different person within this particular story (such as the holstered gun on his belt). For the figure, the sculpt does an amazing job of translating the gritty and stylized look from the comic into three dimensions. There’s some fantastic detail work on the sticking of his suit, as well as the fur lining of his cap, and even the stubble on his face. The figure is slightly pre-posed, but it’s a more purposeful hunched sort of pose, in contrast to some of the “never looked right in any pose” figures that DCD was putting out at the same time. The figure’s impressive sculpt is topped off by a similarly impressive paint scheme. The basic work is all cleanly applied, and there’s some solid accent work going on to keep him from looking too squeaky clean. I particularly like the mud stains on the cape and uniform. They add a nice bit of character to the figure. 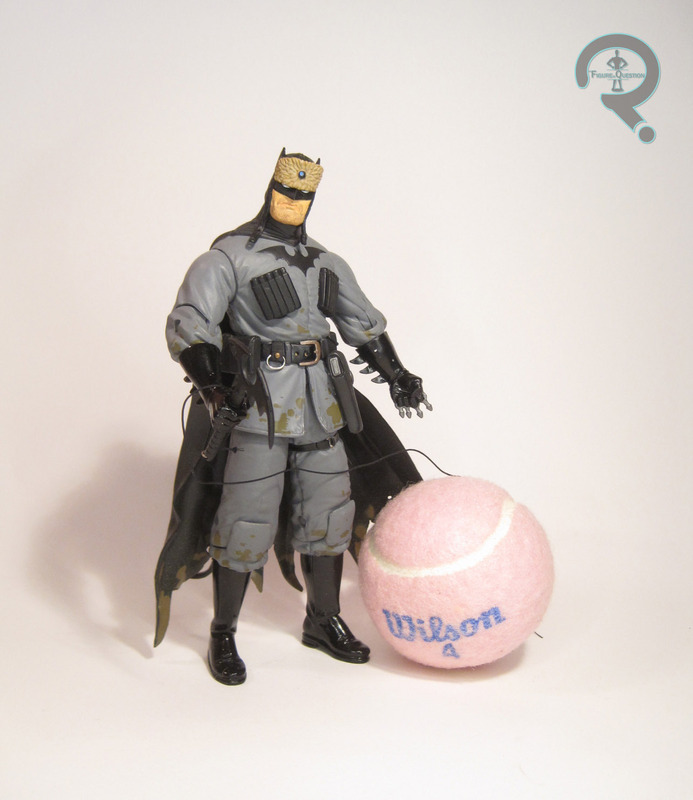 Batman is packed holding the detonator he attempts to use to defeat Superman in the story, but it can be swapped out for a bat-shaped pickaxe. I prefer the detonator myself. 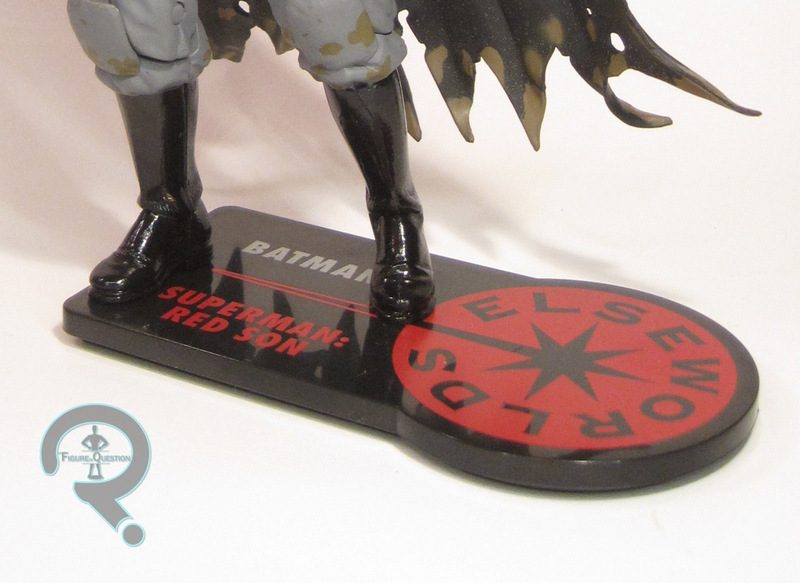 He also includes a display stand with the Elseworlds logo and his name on it. When the Elseworlds figures hit, I wasn’t immediately familiar with most of the source material. Given the choice between the two Batmen in Series 2, I went for the Gotham By Gaslight version, since that was the one I knew. I only read Red Son many years later, and by that point, the figures had mostly picked up a hefty aftermarket value, with Batman being perhaps the highest. Recently, Cosmic Comix purchased a rather sizable collection of action figures, and this guy was among them. They offered him to me for a reasonable price, so I went for it. He was definitely worth picking up. He makes for quite a cool looking figure!